Manazel has established Al Manzel Real Estate to be solely responsible for operating and managing the company’s Dari initiative. Headed by a dedicated team Al Manzel Real Estate oversees the effective and timely delivery of its homes ensuring that they comply with Abu Dhabi’s sustainability and environmental standards and building codes. 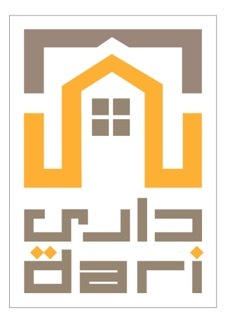 In order to fulfill the UAE’s vision of ensuring that its citizens have access to high quality of living, Manazel Real Estate with the support of key government parties created the Dari Initiative in order to provide UAE Nationals with access to quality homes within the bounds of the AED 2 million government grants. Through Dari aspiring home owners granted the government loans now have the ability to choose from among the 10 types of villas of varying sizes to build their home in a turn-key operation. 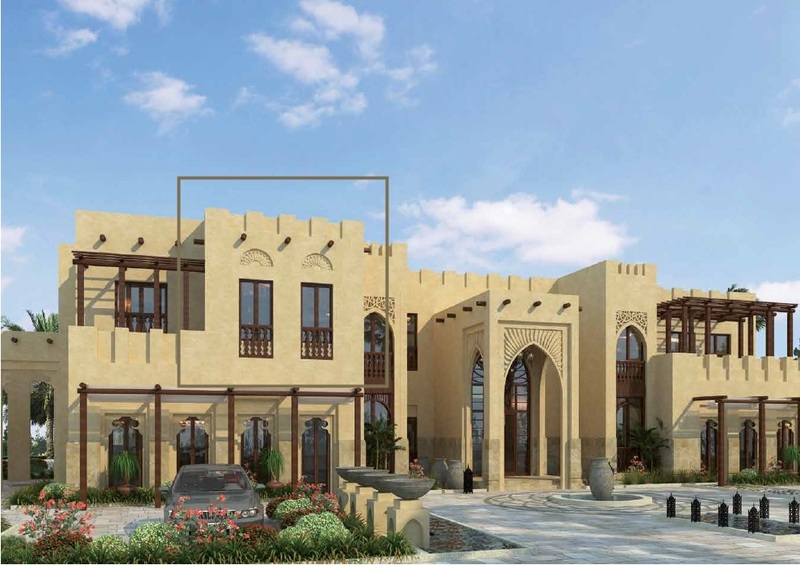 Each of the villas types are designed to preserve the traditional UAE culture and adhere to traditional family values incorporating six and seven bedrooms, two majlis spaces and accompanying service rooms, including a kitchen, laundry, store room and maid’s room. Dari also opened a showcase Villa for the duration of two years which should help potential clients to realistically envision the home that the initiative can provide through their building, project management and post delivery services. These post delivery services include home furnishing deals with UAE certified global and local suppliers, interior design, landscaping, and maintenance services, all at negotiated and favorable rates. As the first real estate company in the country to attempt to tackle this housing objective and meeting the UAE vision Manazel has received a certificate of appreciation from the Ministry of Presidential Affairs, and another from “Absher”. Al Reef Community is a mixed-use development project formed of two components; Al Reef Villas and Al Reef Downtown. Considered as one of the first fully integrated residential communities in the Emirate of Abu Dhabi this community which spreads over a million square meters is in close proximity to the Abu Dhabi Airport and is situated just 30 minutes away from the city. Designed to house 16,000 residents both Al Reef Villas and Al Reef Downtown provide its residents the added benefits of convenience of location in addition to other pluses of community living offering them the perfect getaway from the constant commotion of city life. Spread across 4 architecturally themed districts the 2,376 villas that make up “Al Reef Villas” include Arabian, Desert, Mediterranean and Contemporary themed villas while Al Reef Downtown, which lies at the center of the development covering an area of 137,310 square meters, is comprised of 46 residential buildings with 1,818 residential units ranging from modern studios, to one, two and three bedroom apartments also with distinct architectural layouts. In an effort to meet the government’s directives to reduce power consumption and carbon emissions, Manazel has constructed a district cooling plant in Al Reef Downtown which has the capability to provide 8,000 tons (28,000KW) of cooling capacity for the whole development which also results in a healthier and safer environment. Manazel Real Estate, its subsidiaries and various authorities will continue to establish many needed facilities on vacant land plots that will enhance the quality of living within the Al Reef Community. One such facility that the company has made significant head way in the process of its establishment is with regards to the development of a school. The Al Reef 2 project launched in 2014 builds on Manazel’s successful Al Reef Community Development which delivered the concept of community living for the middle income segment. 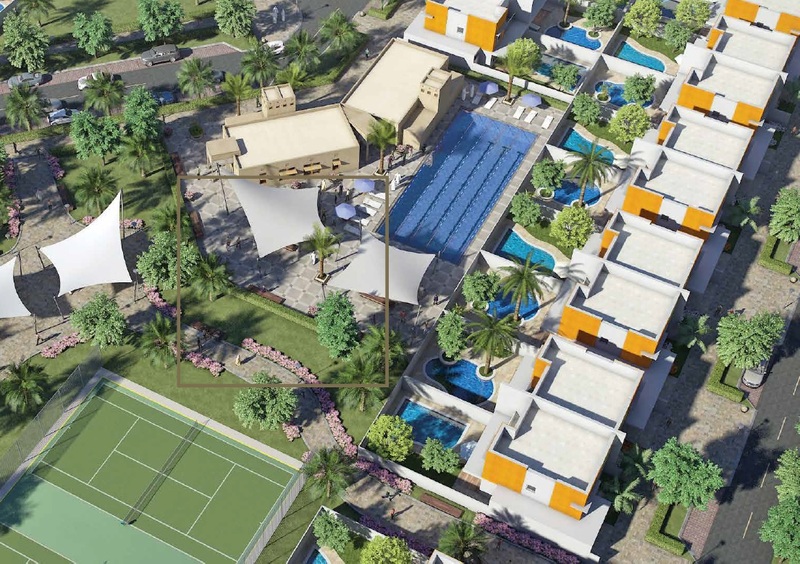 This residential project is comprised of 860 villas spread across 4 areas each boasting its own community center with modern and contemporary designs. Al Reef 2, which consists of two and three bedroom villas, four community centers, community facilities, open landscapes and infrastructure networks with roads, is scheduled to be fully handed over by the end of 2018. Located in the Al Samha area of Abu Dhabi the project is strategically located on the Abu Dhabi – Dubai highway, 35 minutes away from the Abu Dhabi City Center and another 35 minutes from the Dubai Expo 2020 site. Once completed, the project will include several public facilities for residents such as a healthcare clinic, a school, two mosques, and customer service outlets for utility companies, in addition to multi-sports pitches, swimming pools, children’s playgrounds, and open spaces with parks and a cycling track; additionally an area of over 8,000 square meters has been allocated for retail space to serve the residents. Throughout the year we have focused our efforts on finalizing the sale of the Al Reef 2 project and on overseeing construction efforts in order to ensure that the project is completed where Phase 1 of handover of Al Reef 2 Villas is expected to commence at the end of 2017 as planned .During the course of 2017, Manazel will continue working on ensuring all necessary networks such as roads, water, electricity and sewage network and communications services are in place all in addition to the completion of the mosques, community centers, school and the shops, so that the residents benefit from the services immediately upon receipt of the villas. Considered as a major real estate project for Manazel and a major tourism project within the country the project will be located in Ghantoot which is an important coastal area between Abu Dhabi and Dubai. The ‘Ghantoot’ project supports Manazel Real Estate’s overall strategy while also presenting the company with an opportunity to service the various consumer segments that exist in the UAE and wider GCC region. 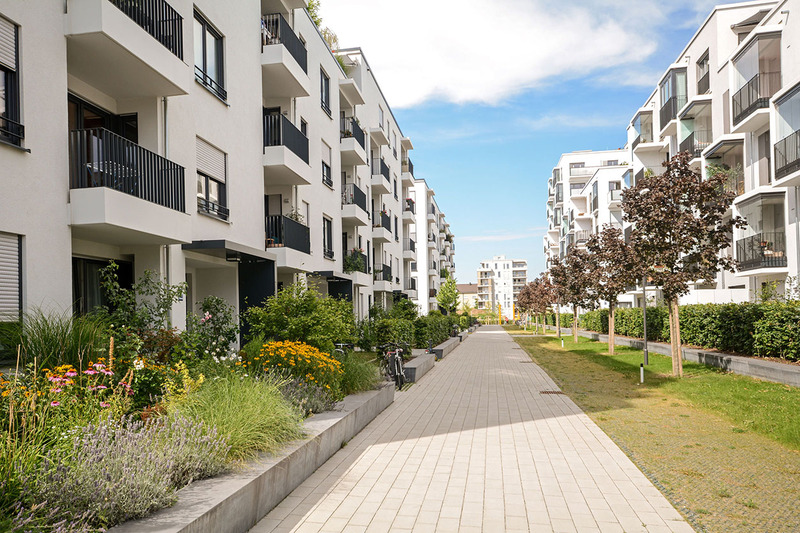 Spread over an area of approximately 1.3 million square meters, the project will include 700 to 800 plots of land for sale with development expected to span 2 years and project revenue to be in the range of AED 2.6 – 2.8 Billion. 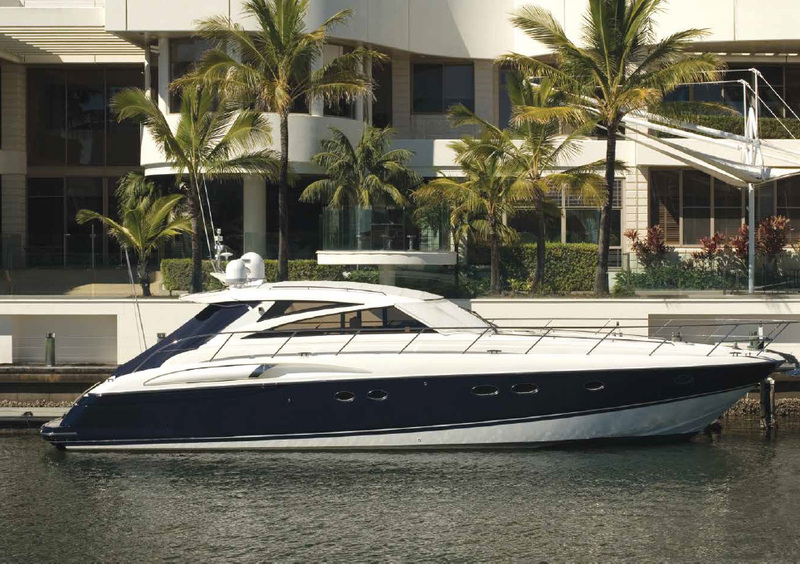 Initial concept designs of the unique coastal project consists of a luxurious hotel and resort style villas with a view of the coastal ocean with dedicated water front and space for their boats and yachts enabling them to pursue all the exciting marine & leisure activities that come with such a location. Additionally it is set to include numerous services and facilities such as mosques, community centers, retail areas and clinics making the project unique and one of its kind. Glamorously contrasting with the stark blue sky of Dubai, Dunes Village is the secluded oasis designed with convenience and community values in mind. This residential sanctuary seamlessly blends modern amenities with practical spaces to create the ideal environment for the discerning twenty-first century resident. The AED 409 million development unfolds over approximately 43,000 square meters of prime real estate property in Dubai Investment Park. Dunes Village features 19 five-story residential buildings, each spaciously comprises within its five stories some 942 stylish and spacious studios in addition to one and two bedroom apartments. Dunes Village has successfully been completed and proudly delivered to investors in May 2009, and has been serving its unique community, ever since, with unlimited devotion. 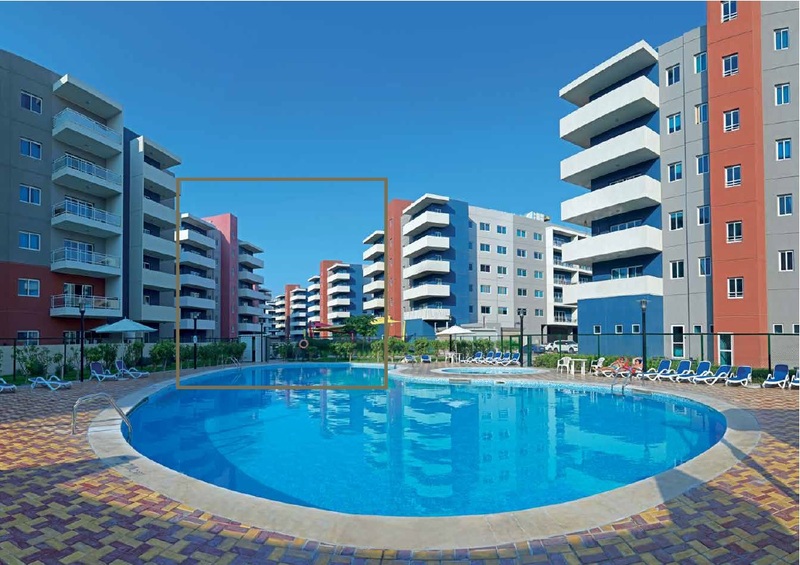 Headquartered in Abu Dhabi, UAE, Manazel Real Estate is one of the nation’s leading developers of quality homes for the country’s middle income segment of the population.